Results are presented of occasional photographic records of butterflies (Lepidoptera, Papilionoidea) made along with studies on the Odonata fauna in 63 localities of four coastal provinces of SW Cambodia (Koh Kong, Preah Sihanouk, Kampot and Kep) in 2010-2018. 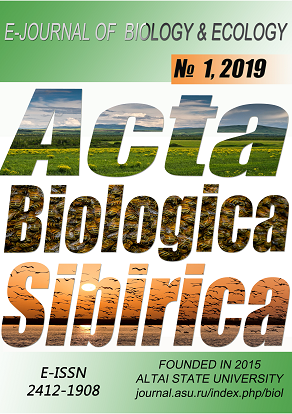 In total, 151 identified and 15 provisionally identified species are listed; 39 identified species (Troides helena, Graphium agetes, Prioneris philomone, Abisara echerias, Arhopala abseus, A. aedias, A. aida, A. alitaeus, A. atosia, A. avatha, A. bazaloides, A. elopura, Cigaritis lohita, Sinthusa nasaka, Lampides boeticus, Udara selma, Zizeera karsandra, Danaus affinis, Euploea phaenareta, Parantica agleoides, Cyrestis themire, Euthalia malaccana, E. phemius, Discophora timora, Lethe mekara, Badamia exclamationis, Burara harisa, Odina decorata, Tagiades menaka, Ancistroides nigrita, Gangara lebadea, Halpe zola, Hyrtaotis adrastus, Lotongus calathus, Matapa aria, M. sasivarna, Pirdana hyela, Suastus minutus, Thoressa masoni) and 8 provisionally identified species (Poritia cf. erycinoides, Nacaduba cf. pavana, ?Cephrenes acalle, Erionota cf. torus, Halpe cf. hauxvillei, Notocrypta cf. clavata, Potanthus cf. subochraceus, ?Polytremis lubricans) are for the first time reported for Cambodia. These, as well as some other provisionally identified and unidentified species are illustrated. The only not so expected record is a Sondaic species Arhopala athada. Callaghan, C. J. (2009). The Riodinid Butteflies of Vietnam (Lepidoptera). Journal of Lepidopterists’ Society, 63(2), 61-82. Ek-Amnuay, P. (2006). Butterflies of Thailand. Fascinating Insects, Vol. 2 (First Edition). Amarin Printing and Publishing, Bangkok, Thailand. Ek-Amnuay, P, Chiba, H., Kimura, K., Inayoshi, Y., Saito, K., Seki, Y, & Uemura, Y. (2007). Corrigenda to “Butterflies of Thailand” Ek-Amnuay, 2006. Yadoriga, 213, 2-20. Kosterin, O.E. (2010). A glance at the Odonata of the Cambodian coastal regions: end of dry season in 2010. International Dragonfly Fund Report, 29, 1-75. Kosterin, O.E. (2011). Odonata of the Cambodian coastal regions revisited: beginning of dry season in 2010. International Dragonfly Fund Report, 40, 1-108. Kosterin, O.E. (2012a). Odonata of the Cambodian coastal regions in late rainy season of 2011. International Dragonfly Fund Report, 45, 1-102. Kosterin, O.E. (2012b). A rapid survey of Odonata on Bokor Plateau, Preah Monivong National Park, Cambodia. Cambodian Journal of Natural History, 1, 75-86. Kosterin, O.E. (2014). Odonata of the sourth-west and north-east of Cambodia as studied in early rainy season of 2013. International Dragonfly Fund Report, 67, 1-94. Kosterin, O.E. (2015). Dry season Odonata of the Cardamonean coast (Cambodia and Thailand) revisited. International Dragonfly Fund Report, 89, 1-36. Kosterin, O.E., & Chartier, G. (2017). Update of 2014 and 2016 to Odonata found at the marshy coast of SW Cambodia including three species added for the country. International Dragonfly Fund Report, 101, 1-26. Kosterin, O.E., & Chartier, G. (2018). More Odonata found at the Cardamonean foothills in Koh Kong Province of Cambodia in 2014-2018. International Dragonfly Fund Report, 123, 1-21. Monastyrskii, A.L., Yago M., & Odagiri, K. (2011). Butterfly assemblages (Lepidoptera, Papilionoidea) of the Cardamom Mountains, Southwest Cambodia. Cambodian Journal of Natural History, 1, 122-130. Onodera, H. (2007) A trip for butterflies collecting in Cambodia (23 Sep.- 2 Oct.2006). Yadoriga, 215,17-36 (Japanese). Onodera, H. (2008). A trip for butterflies collecting in Cambodia (14 May -23 May.2007). Yuzuriha, 39, 54-61 (Japanese). Onodera, H. (2009a). A trip for butterflies collecting in Cambodia (14 May - 23 May.2007). Yuzuriha, 40, 62-68 (Japanese). Onodera, H. (2009b). Short trip in Laos for meeting butterflies. Butterflies (Teinopalpus) 53, 33-45 (Japanese). Onodera, H. (2015). New knowledge on the butterflies of Laos. Butterflies (Teinopalpus) 70, 39-41 (Japanese). Woodfield, E., & Murton, R. (2006). Butterfly Field Guide Southwest Cambodia. Frontier-Cambodia.